Whether your guests are shopping for the seasoned techie in their life or someone who’s looking to upgrade their gadget game, we have a wide variety of electronics on sale. Encourage them to save big on tablets, laptops, cameras, mobile phones and more from brand names like Apple, Canon, Sony and Samsung. For this romantic holiday, jewellery is always a safe bet! eBay has big savings on necklaces and bracelets from brand names such as Argos and Michael Kors. Anyone looking to take the next step is in luck because eBay has a beautiful assortment of proposal and engagement rings. In addition, there are great deals on watches for him and her from designers including Armani, Fossil, Lacoste and more. Whether your visitors plan to celebrate Valentine’s Day out and about or at home, encourage them to dress the part! eBay has a selection of fashionable choices for him and her. Men can shop everything from tops and shirts to shoes and boots while women can browse jumpsuits, dresses, heels and boots. Those planning to stay at home can spice it up with some lingerie and nightwear. These are just a few suggestions on how to spread the love! 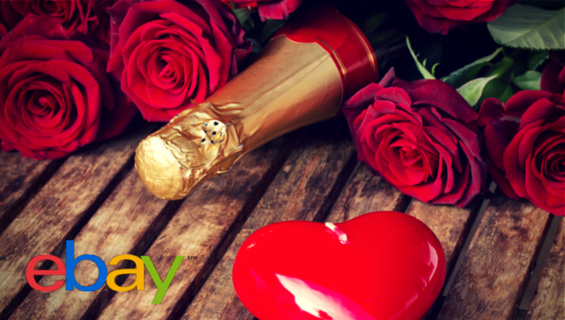 Direct your visitors to our Valentine’s Day landing page where they’ll find even more great gift ideas! Newer PostMy Big Weekend Savings!